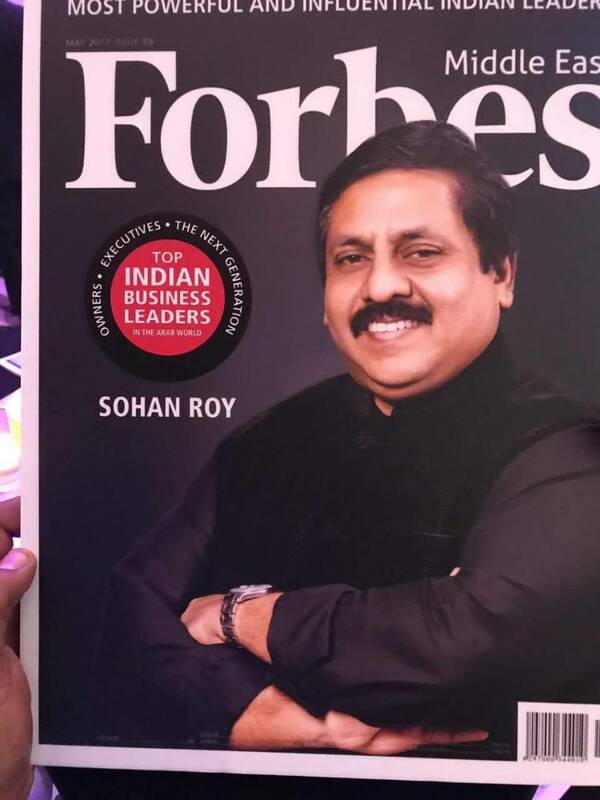 UAE-based millionaire and philanthropist Sohan Roy, Chairman and CEO of UAE headquartered Aries Group has been featured in Top Powerful and Influential Leaders in Middle East 2017 released by Forbes Middle East. This is for the fifth consecutive year he has been listed. Sohan Roy who hails from Kerala is a naval architect by profession and a film maker by passion. Aries Group is one of the largest multinational conglomerates in the Middle East with 45 companies operating in 15 countries across the globe. Aries Marine and Engineering Services established in 1998 is the flagship company of Aries Group. Aries Marine, an ISO certified naval architecture and marine engineering consultancy in Middle East, offers comprehensive range of technical consultancy and project management services to the maritime industry and ship owners worldwide. The group runs Aries Plex, Asia’s first dual 4K projection theatre, at Trivandrum, Kerala. The group also operates Aries Vismaya Max Studio, previously owned by Malayalam film actor Mohanlal. 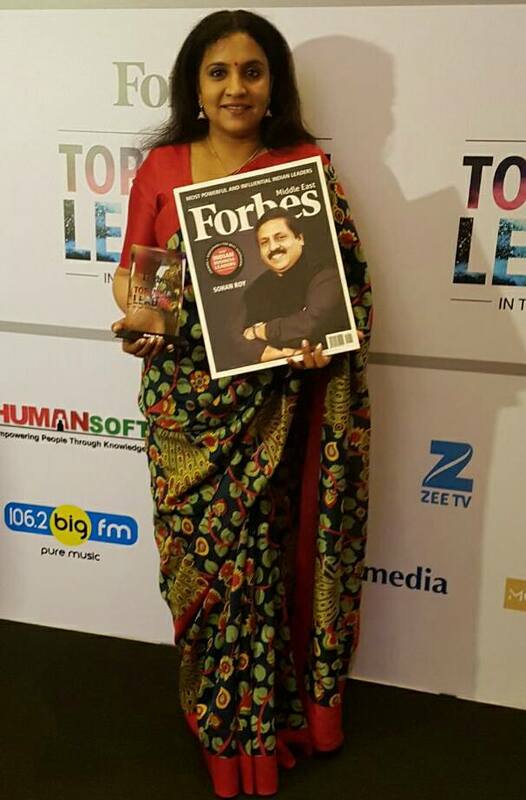 Abhini Sohan Roy, wife of Sohan Roy, with the award. She is the Managing Director of Aries International Interiors. The group employs close to 1400 people across the globe and 400 alone in India. Trivandrum-based EPICA Studios, another venture of Aries Group, sprawled across 16,000 sq ft area produces quality animation projects for Europe and Asia based broadcasters. Sohan Roy who is also the Founder Director of Indywood is the master brain behind Indywood consortium comprising 2,000 billionaires and corporate to invest Rs 70,000 crore in Indian film industry. The project aims at initiating 10,000 new 4K projection multiplex screens, 1,00,000 Atmos 4K/2K projection home cinemas, film studios, animation/ VFX studios and film schools conforming to international standards. Indywood TV is positioned as 24/7 entertainment channel with special focus on movie centric programs and shows.